We're almost done with season 6 of Fortnite, so let's take a look at the challenges for week 9! 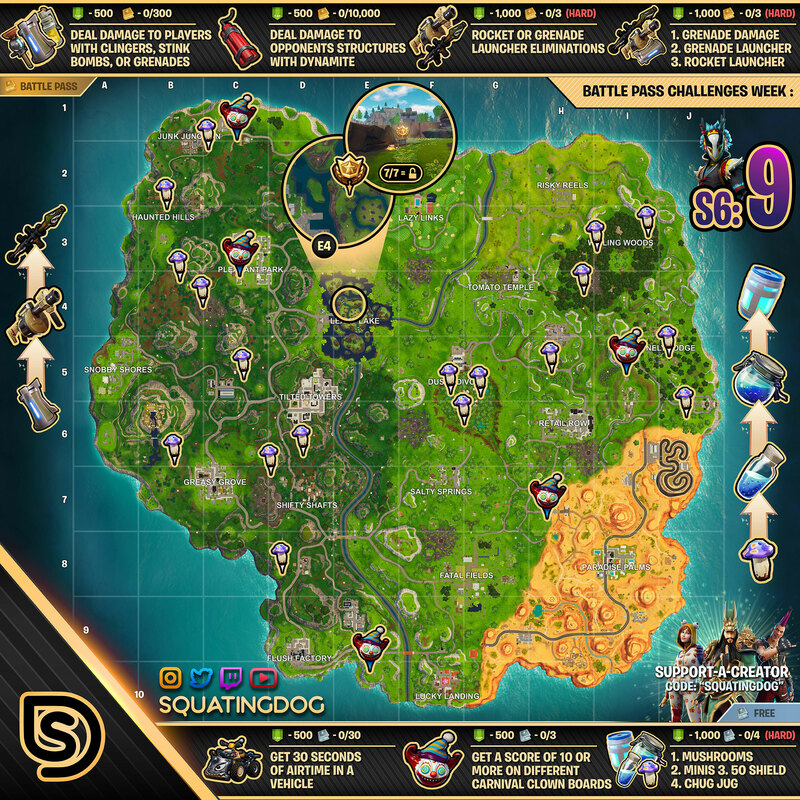 Our Fortnite Season 6 Week 9 Challenges List and Cheat Sheet brings you all of the solutions and answers for the challenges you need to complete for the week. We have maps to treasure and item locations, as well as tips for completing all of them as quickly as possible! This week we are getting airtime in a vehicle, getting a high score on different Carnival Clown Boards, consuming mushrooms, dealing damage with various throwable explosives, dealing damage to opponent structures with Dynamite, getting Rocket or Grenade Launcher eliminations, and dealing damage with a variety of explosive! 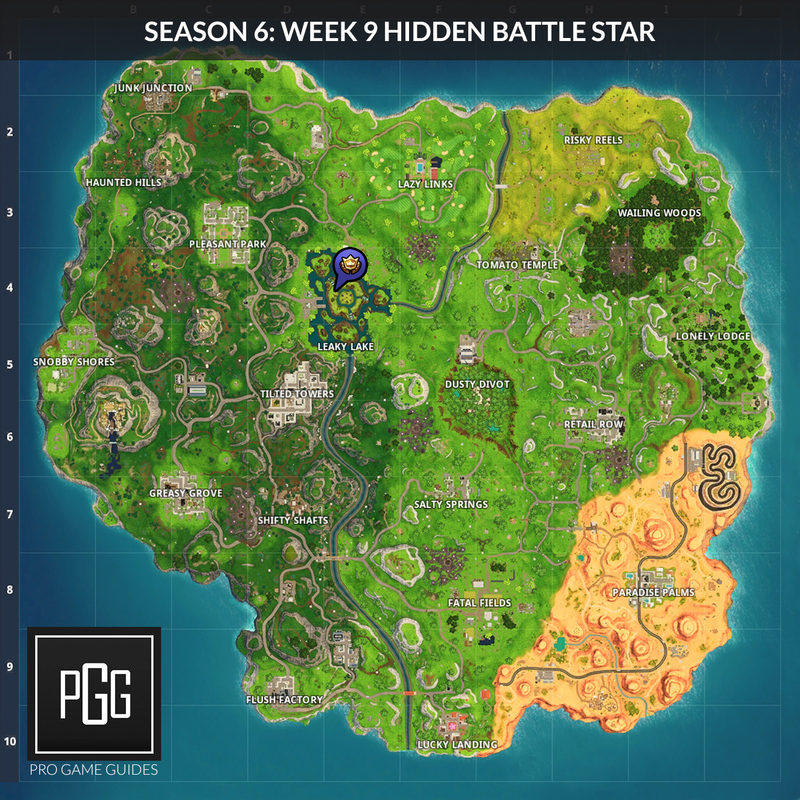 Check out our Fortnite Season 6 Guide for guides on every week of challenges, and you'll find all of the hidden stars on our Season 6 Secret Battle Star Locations Guide! You might be able to do this in one try with how people are flying all over the map in those Quadcrashers. You can find all of their locations with our Quadcrasher Guide! Mushrooms aren't too hard to find, you can find them in most wooded areas or just check out the map above. After you consume the fungus, you'll need to drink down some minis, regular shields, and finally a Chug Jug! Pretty simple challenge, you just need to find throwable explosives and do some damage with them. Dynamite is a relatively new item, so it shouldn't be too hard to find. However, racking up 10,000 damage can take a while. Your best bet is to head into LTMs and lob this stuff at some of the huge structures that end up being built. These are very solid weapons but they can be hard to find. Open up a lot of chests and hit the supply drops when possible to find these. If you have the Rocket Launcher, try to hide it until you get an open shot and then switch to it quickly. If you have the grenade launcher, try to land the grenade either inside the structure or float it so it explodes right above it! You might be able to finish this first stage by doing the damage to players challenge mentioned previously. The second and third, however, are going to require you dealing damage with the Grenade Launcher, and finally with the Rocket Launcher. I would try to pair these challenges with the previous one, so you can hopefully knock them out simultaneously. Once you've completed all the challenges for the week you will be given the following loading screen. 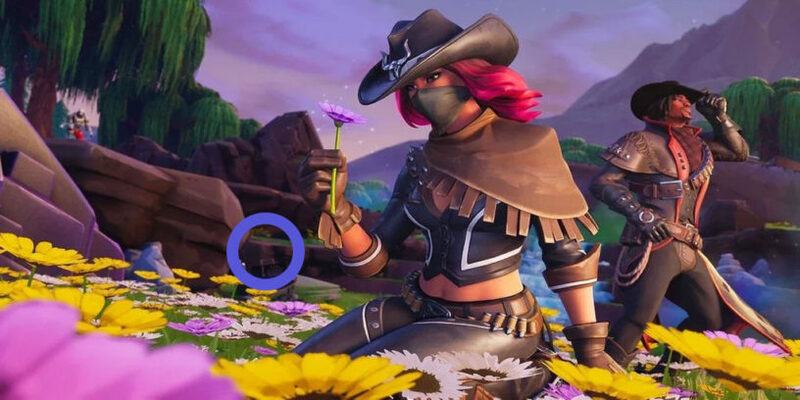 You can just barely see the transparent battle star right above the busted barbecue and below the creepy A.I.M. skin. This location can be found in Leaky Lake to the north west part of it. Make sure you've finished all your challenges or it won't appear! And i am having trouble with getting XP too. Since you are really good at guides, can you give me a good guide on XP? I just reached tier 100 in the beginning of week 9 and i have only gathered around 43000 XP so far. I am pretty temped to get the brown wolf before season 7 so can you help meh?